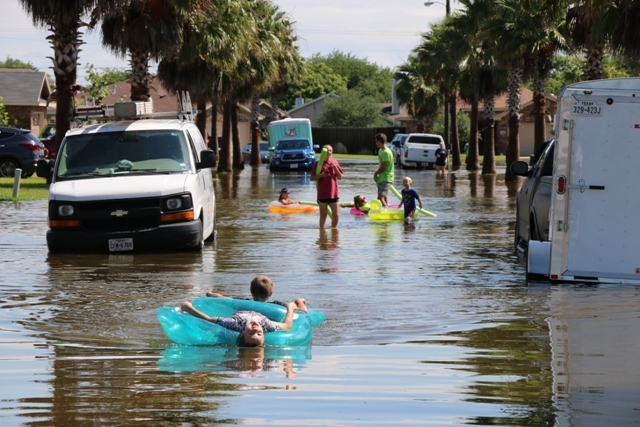 When emergency crews are working hard to right the wrongs created by a nearly 14-inch rain that fell starting around 11:00 a.m. on May 15, 2016, what do the kids in the close-knit, laid-back community of Flour Bluff, an area of Corpus Christi once known as the “Gateway to Padre Island” do? They take advantage of the blessing! 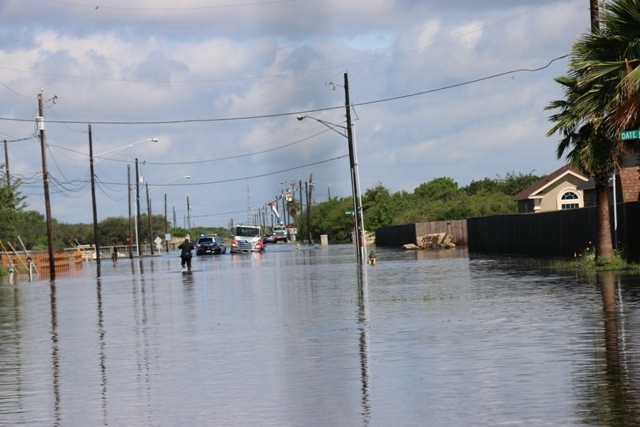 Flour Bluff ISD Superintendent Joe Kelley closed school for the day, saying that buses couldn’t roll, teachers couldn’t get to school, and the water boil notice imposed by the City was still in effect. It may be a day that must be made up, but the kids don’t care; they are going to have as much fun in the sun – and the water – as possible. 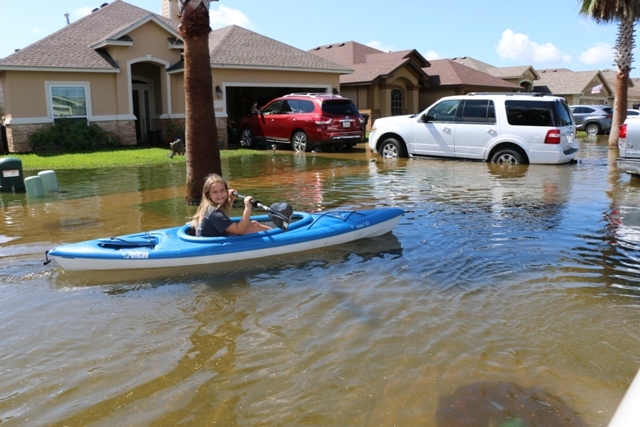 While parents are fretting about standing water, pending mosquito problems, loss of power, flooded homes, and stalled vehicles, the children are making the best of a what others deem a very bad situation. 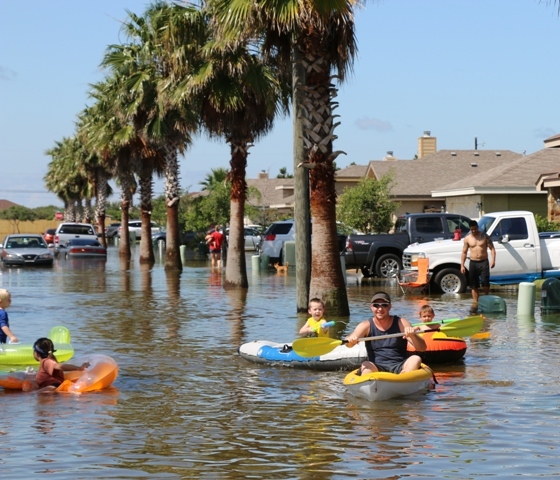 All over Flour Bluff, boys and girls (and even some adults) are pulling off their shoes, grabbing their tubes, manning their kayaks and small fishing boats, and calling it a day to play! 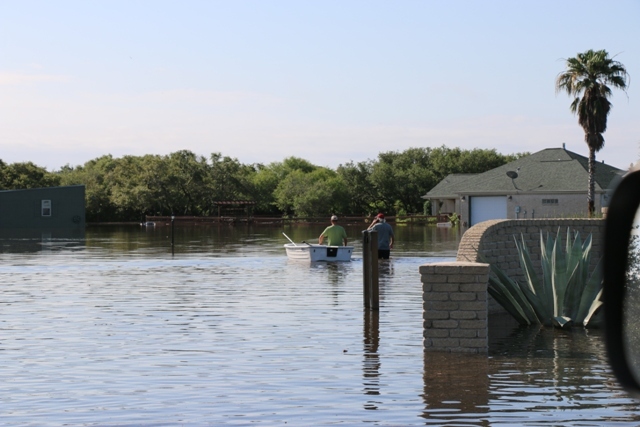 The local forecast calls for more rain throughout the week, which could make it a very difficult situation for some, especially those who woke up to 5 inches of water in their homes in the Retta Place neighborhood. Until then, the kids will ring in the lazy days of summer just a little earlier than anticipated while utility workers, emergency services, and other city departments strive to return the city to normal. Go to the Paper Trail News Facebook page for more photos.